NEWS COMMENTARY: Norway’s postal service (Posten) seemed to continue its march towards self-destruction of traditional services this week, when it confirmed consolidation of all letter sorting for Southern Norway at its Lørenskog terminal northeast of Oslo. Hundreds of people working at terminals in Bergen, Stavanger, Trondheim, Molde and Stokke are likely to lose their jobs, while long-time postal customers are in despair. State broadcaster NRK reported how “consolidation” means that a letter sent from one address in Trondheim to another in Trondheim will be sent around 500 kilometers south to Lørenskog first, then back to Trondheim. Someone has decided that will cut costs, while postal customers seem deemed to lose. Posten, eager to win a rapid race towards digitalization in recent years, argues that the volume of letters sent through its system has declined by 65 percent since 1999. The decline speeded up from 2017 to 2018, not surprising, perhaps, since many companies like Telenor and electricity providers charge fees as high as NOK 59 (USD 7) to customers who prefer their bills sent on paper in the “snail mail” for record-keeping purposes, instead of via email or directly to their banks. There’s also been a marked decline in Posten’s delivery service and another increase in postal rates. A stamp in Norway costs roughly three times that of a US Postal Service stamp, and there’s no longer any differentiation in delivery service, apart from the letter rates charged for domestic service (NOK 16), delivery within Europe (NOK 21) or delivery worldwide (NOK 24). Postcards cost the same as letters. First-class rates were retained for second-class service, and even increased, while controls seem to have been boosted and heavy fines imposed if a letter is even one gram over the 20g allowed. Customers have also been told that even delivery within the same city is expected to take at least two days. In reality it can take much longer. Posten already has officially eliminated delivery on Saturdays, wants to cut it back to just three days a week, and many suspect that’s already happening in some neighbourhoods. Mailboxes can be empty for a few days, only to suddenly receive five or six letters all at once. If you want to send a card to someone having a birthday on Saturday, you’d better drop it at one of the few remaining post offices by Wednesday at the very latest. Mail during the recent holiday period was especially slow. One card sent air mail to the undersigned from Honolulu on December 3 arrived in Oslo on January 4. That delivery used to take a week, not a month. Other Christmas cards from the states all took at least two weeks, while those sent by the undersigned took at least two- to three weeks to be delivered. “I’m distressed over how long it took to get your card,” one old friend in Chicago wrote in an email in mid-January. Her card had just arrived, after having been mailed at one of Posten’s remaining post offices in Oslo (a busy office in the heart of the Vika business district) on December 10. One woman in Bærum, Bodil Solheim, lamented in a letter to the editor of newspaper Aftenposten last month that she had hand-written a holiday letter to an old friend in Bergen who never received it. Instead it was returned to Solheim after two weeks as “undeliverable,” even though the address was correct. She dropped it in a mailbox again, only to have it returned again with no explanation. Attempts to get help from Posten’s online customer service were futile with no reference number on the letter. 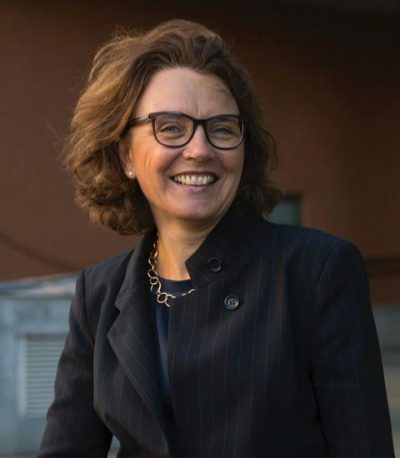 After waiting on the phone for what Solheim described as “a long time,” and paying Posten’s telephone charges all the while, she was told the local letter carrier was perhaps unfamiliar with her friend’s neighbourhood in Bergen. The reason her letter was returned a second time was because she had attempted to re-use the same stamp, and that’s not allowed. “I had committed a violation of the law, and can expect a fine,” Solheim wrote. It’s little wonder that Norwegians and foreigners living in Norway are simply giving up on Posten, a fate that Posten’s new managment seems only keen to accelerate. The consolidation of Posten’s sorting systems comes after most all post offices have been closed, with some replaced by a postal counter in local grocery stores. Even the red mailboxes that still exist around Oslo, at least, now sport notices saying mail will only be collected “in connection with local delivery.” Since no one has any idea when, during the course of a day, or even if that occurs, it’s impossible to know how long a card or letter may be left sitting in the mailbox. The changes have come amidst the introduction of new digital services that involve apps and electronic tracking that many, especially elderly customers, find difficult to grasp. Many traditional letter- and card customers feel their business is unwanted, and that the service Posten once prided itself on is now unreliable at best, even as Posten keeps printing up lovely new stamps, some of which are even aimed at promoting Norwegian landmarks, scenery and tourism. While the US Postal Service once famously declared that “neither snow, nor sleet nor dark of night” would interrupt its service (and the USPS still has its own free-standing offices and buildings even in the tiniest towns across the USA) Solheim noted in her sad letter that it’s been 100 years since Nordahl Grieg also wrote a poem that Posten skal frem! (The post shall be delivered!) That just doesn’t seem true anymore. Posten is rather discouraging loyal cusomers from using its services. Even the old Luftpost (Air Mail) stickers that used to be distributed free of charge have disappeared, replaced by much smaller stickers that only read “Priority.” They seem symbolic of how Posten’s service has reduced priority as well. While Posten’s managers seem to make their dire outlook for their traditional services a self-fulfilling prophecy, and eagerly seek new, more profitable services, customers are spurned and employees, many of them long-time workers close to retirement age, may be cast out into the snow, sleet and dark of night themselves. Without a postal shelter in sight. 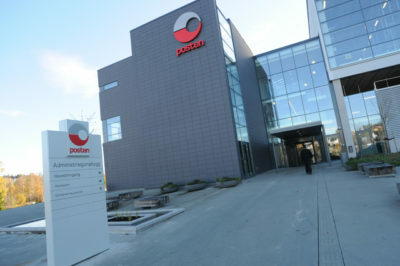 More than 1,500 jobs within Posten have been eliminated just in the past three years. Around 300 are on the line now.